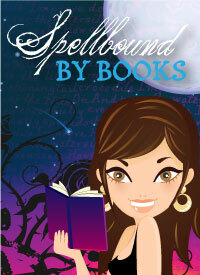 Spellbound By Books would love to introduce Suza Kates, Author of Whisper of a Witch! Thank you so much Suza, for taking the time out to answer my questions. Here we go. 1. How would you describe Whisper of a Witch? Whisper of a Witch is a paranormal romance that focuses on the challenges faced by its hero and heroine while also introducing us to the rest of the characters we’ll be seeing in the series. One of the things I love about the The Savannah Coven Series is the interaction of the women as they get to know each other and the camaraderie between them. They are all struggling with the fact that they are witches with a dangerous prophecy to fulfill, and this creates plenty of drama for them to deal with. 2. What was the easiest/hardest part of writing Whisper of a Witch? The easiest part is the dialogue of the women. The characters are all so different that I enjoy experimenting with their personalities and styles. The hardest part is keeping the overall story of the series intertwined with each witch’s book. There’s a balance between giving away enough to keep the story moving, but not so much that I give it all away. Suspense is always a challenge! Most of my writing occurs in my office, where I get plenty of help from my 5 cats. : ) It’s my comfort zone. I often plot and sketch out story lines in the middle of my living room floor where I can spread out my research and guides. I also keep a voice recorder handy at all times. A scene or dialogue can come to me any moment. I like to buy a brand new coffee cup for every book that I write, and a candle that matches must be burning at all times. With the Savannah series, every witch has a color, so I feel inclined to make the cup and candle match. It sets the mood, and now that I write it out, it definitely sounds quirky! I love it. Once I realized writing a book is as much of an escape as reading one, I became hooked on creating the places I wanted to go and the people I wanted to know about. I’m thinking about it! Everything becomes an inspiration whether it’s a movie, vacation, or another book. The dreaming is almost as much fun as the writing. I have another book coming out this fall called She Who is Hidden. It’s a romantic suspense that includes traveling to foreign lands and solving ancient riddles. I’m a real Dan Brown fan, and I thought it might be interesting to combine the clues and adventure with a little more romance. It’s the first of three books that make up The She trilogy. What was the first book to influence me as a writer? Little Women. Again, I was enthralled by the female relationships and the desire Jo had to be a writer in a man’s world. What a challenge! It might sound simple, but if you’ve never been to a writer’s conference you must go to one of your genre. When I first attended an RWA conference, it was like someone shined a bright light on everything I had done wrong or had forgotten to do in my book. Aside from the contacts you’ll make, it’s a wonderful learning experience. 10. And last, your stuck on deserted island which character from your books would you take with you and why? At first I wanted to say Anna from The Savannah Coven Series, because she’s a very talented witch. I think instead I’ll take Karen from the second book in The She trilogy. It’s called She of the Dragon, and the character Karen is not only a tough US Marshall, but she’s so witty, I think she would keep me entertained! 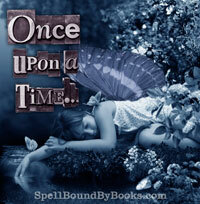 If you haven't read my review of Whisper of a Witch you can see it here. 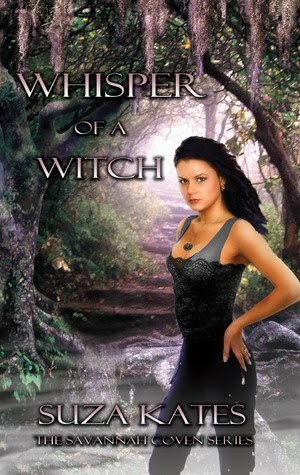 To win a copy of Suza Kates' Whisper of a Witch all you need to do is fill in the form at the bottom of the interview. Leave a comment on Interview. Great interview! I want to read a great book about witches and this seems to be the one! Interesting interview =D I read about this books in many blogs and I'm dying to read it! Seems so good. great interview! I have not ever heard the interview question "finish this sentance", it made me giggle. Great interview. Sounds like a really good book. Thanks for introducing it to us. Great interview!! It sounds great, and I LOVE the cover art! I'll look into this for sure! Little Women is a great classic book that has inspired many a writer. I totally agree with her advice for aspiring writers. Surrounding youself with people that are already familiar with the industry and your genre can be really helpful. Great interview! I would love to read this! Witches! Sounds awesome! I enjoyed reading Suza Kates' interview and would love to read Whisper of a Witch :) *Thanks* for the giveaway! A prophecy and witches! I really want to read this one. Great interview! I'm going to have to read Little Women now. I started it before but for some reason I couldn't get past the first chapter. Maybe second time's the charm. Thanks for the giveaway! I have read a few books about witches before and this one look amazing. Thanks for the giveaway! Interesting interview. I wonder what you do with all those coffee cups once you have finished writing the book? Great interview - and looks like a really great book. I haven't read a book about witches before (yeah... not even harry potter) - but this looks really good! Thank you for the great interview it was very interesting! Suza I would like to ask you, if you could meet any character of any novel, who would you like to meet? 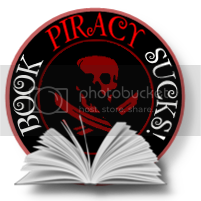 And if a malicious genie forced you to read only 3 books for the rest of your life, which 3 books would you choose? Thanks to everyone who entered, and I loved reading your comments. I just realized the picture of my office gives a clue about whose story is next! Oops!